Daughter of the four gaited stallion Lexus frá Vatnsleysu (8.15) and Vina frá Stykkishólmi, daughter of Kolfinnur frá Kjarnholtum I.
Lexía frá Heimahaga is beautiful bay mare foal, daughter of the four gaited stallion Lexus frá Vatnsleysu (8.15) and Vina frá Stykkishólmi, daughter of Kolfinnur frá Kjarnholtum I. Lexía was born on he 15th of June. 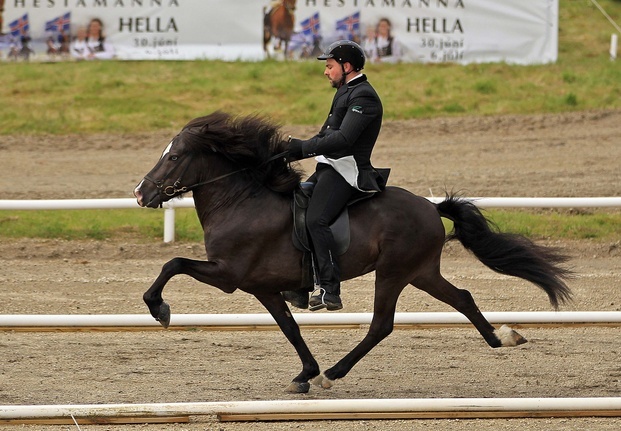 Lexus frá Vatnsleysu (8.15) is a great four gaited stallion with 8.17 for Conformation and 8.13 for Riding Abilities; 9 for tölt, 9 for trot, 8.5 for gallop, 9 for spirit, 9 general impression and 6.5 for walk. Total 8.13. 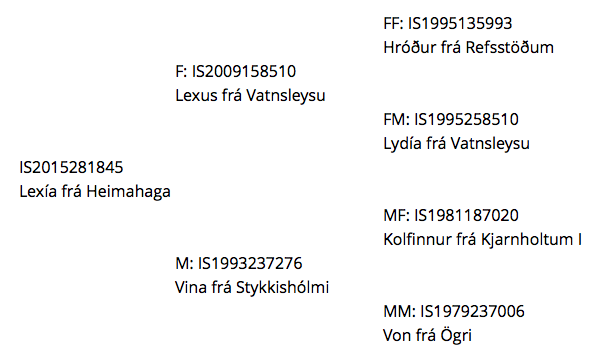 Lexus has also 8.5 for slow tölt and 7.5 for canter. Lexus is son of Hróður frá Refsstöðum (8.39) and Lydía frá Vatnsleysu (8.30). 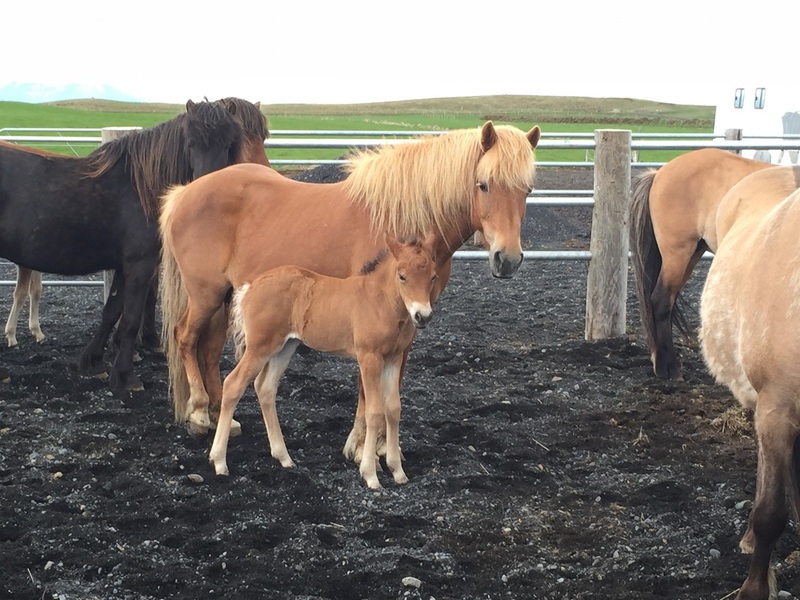 Hróður frá Refsstöðum has 7.94 for Conformation and 8.69 for Riding Abilities; 9.5 for tölt, 8.5 for trot, 7.5 for pace, 8.5 for gallop, 9 for spirit, 8.5 for general impression and 8 for walk. Total (8.39). Hróður has also 9 for slow tölt. At Landsmót 2006 Hróður got 1.prize for his offsprings and further more at Landmót 2008, Hróður got honorary award for his offsprings. Lydía frá Vatnsleysu has 7.94 for Conformation and 8.54 for Riding Abilities; 8 for tölt, 9 for trot, 8 for pace, 8.5 for gallop, 9 for spirit, 9 for general impression and 8 for walk. Total (8.30). Lydía has also 8.5 for slow tölt and 8.5 for canter. Vina frá Stykkishólmi is daughter of Kolfinnur frá Kjarnholtum I (8.45) and Von frá Ögri (7.86). 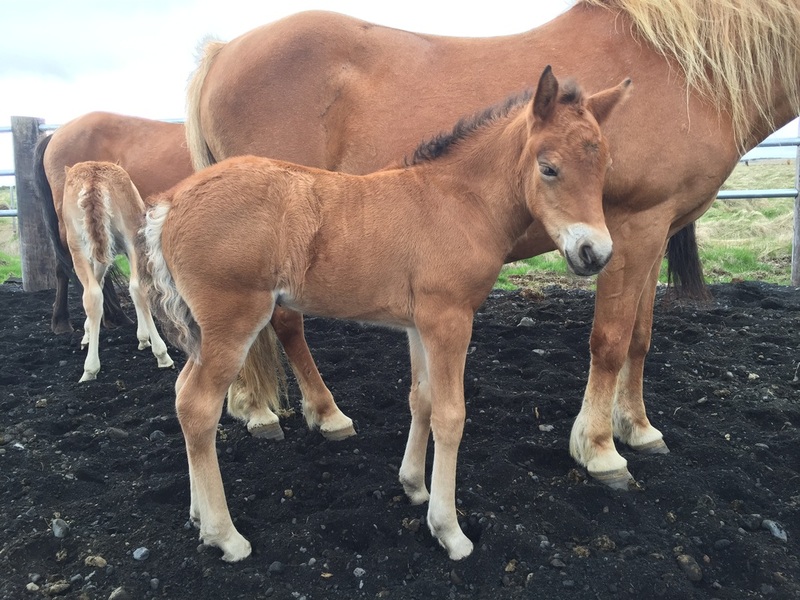 Kolfinnur frá Kjarnholtum I received 8.05 for Conformation and 8.84 for Riding Abilities; 9 for tölt, 9 for trot, 9.5 for pace, 8.5 for gallop, 8.5 for temperament, 8.5 for character and 8.5 for general impression. Total 8.45. At Landsmót 1994 Kolfinnur received 1. price for his offsprings. At Fjórðungsmót vesturlands 1997 he got honorary award for his offsprings and again at Landsmót 2000. Von frá Ögri has 7.95 for Conformation and 7.77 for Riding Abilities; 7.5 for tölt, 7.5 for trot, 7.5 for pace, 8.5 for gallop, 8 for temperament, 8 for character and 7.5 for general impression. Total 7.86.